Meet Aspen! We met via ~the internet~, which is where I hear all the truest friendships happen these days. 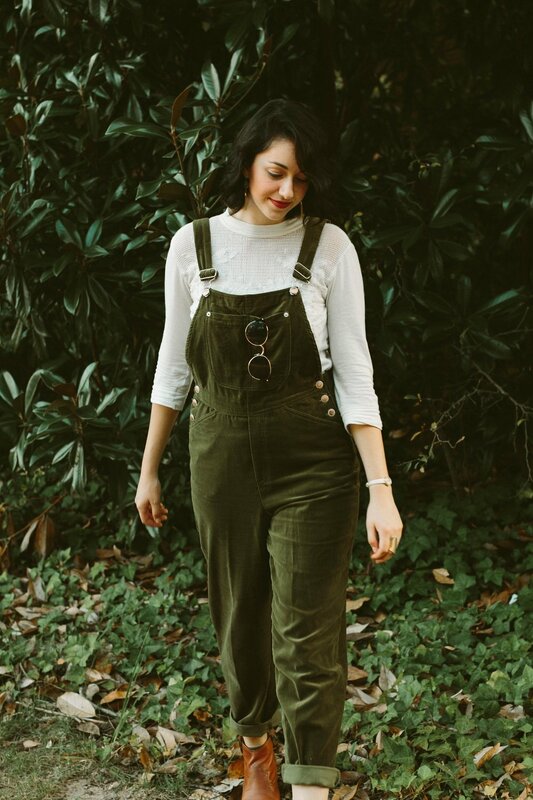 Long before we collaborated on a My Athens Style takeover, I was such a fan of everything she's doing to grow the Athens fashion community, as well as a great admirer of her personal style. Aspen has a brain that enjoys crunching numbers while simultaneously keeping up with rapidly-changing fashion trends, a fearsome command of all things digital media, a name so glam it sounds like that of an Old Hollywood actress, and a haircut/red lip combo that puts Amélie to shame. You can undoubtedly expect great things from her in the future (meaning tomorrow! and/or today!). For more sophisticated and smart style, you can follow Aspen on Instagram and her blog. You can ALSO find her curating the My Athens Style Instagram and their blog. When she's not acing accounting tests...? I don't get how she does it. A genius if I ever saw one. At the moment, I’m a student at the University of Georgia studying Accounting and Fashion Merchandising (a combination for the ages, really). I also work at local woman’s retail store, Sonia Says, as a personal stylist/shopper. Outside of work and school I am the Style Editor and Coordinator for a local organization called My Athens. Right now, as corny and cheesy as it sounds, my only hope for the future is to be happy. I don’t like feeling trapped by the path I’m on and am excited and ready for whatever the world may throw at me next. Whether that may be staying in the accounting industry, fashion industry, or another industry entirely, I just want to be enjoying what I’m doing – something I don’t think a lot of people focus on. The only thing I know for certain is that I’m not staying in one place, I’m way too antsy for that. Oh gosh, SO much. I’m excited about what I may have for dinner tonight; what outfit I may put together next; that next song I can’t seem to take off repeat (currently this is “Tide Teeth” by Night Beds, you can either thank me or hate me later); the next stranger I happen to meet; the next place I travel; Girls season 6; all the things I’ve yet to learn. The list just goes on and on. What is life without embracing both the mundane and extraordinary aspects that grace us every day? I’m not sure if I have, or have ever had, any true role models but rather different people and things that I draw inspiration from. These sources of inspiration are constantly changing as my perspective on things does which is why it’s hard for me to really pinpoint specific “role models”. I believe that it’s healthiest to surround yourself by people that you find inspiring and who are also inspired by the world around them and we all feed off each other that way. There’s a quote that is along the lines of “who we surround ourselves with is what we become” that I love. I don’t know how many times I’ve answered this question and have given a slightly different answer because my definition is constantly evolving. Ultimately, style is in everything from the way you dress, of course, but also in the way you carry yourself. It’s how you choose to handle and execute any situation. In the fashion sense, anyone can wear the latest trends and be considered “stylish” but it’s the way you wear the outfit, the confidence you exude, the effortless persona that may accompany it that really exhibits someone’s personal style. To me, style is as unique to a person as a personality is. I’m writing this from Montréal where I’ve been staying for the past couple days and I’ve been really intrigued by this city’s effortless “I’ve got places to be, people to see, but I’m going to look f**king awesome while doing so even though it’s raining and 30° F” look. Giving a f**k is something that a lot of Americans lack in their clothing that I continually don’t understand. So yeah, I’d say that’s the look I’m into lately, just giving a f**k.